Can you bring a smile to people’s faces? 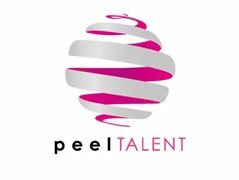 PEEL Talent are on the lookout for dynamic, upbeat Actor Hosts for positions within the Entertainment teams onboard our international fleet of Marella Cruise ships. Does the following excite you? If so we want to hear from you! Our Actor Hosts take part in all aspects of daytime and evening light entertainment activities, actively socialising with passengers to facilitate a fantastic holiday experience. Areas of responsibility include daytime and evening activities, games, quizzes, demonstrations, gameshows and of course taking part in plays such as Murder Mystery, Splash and Neverland. With a selection of medium and long-term contracts available, some starting immediately, this is an incredible opportunity for career-motivated individuals who wish to progress the career ladder whilst travelling the world. The perfect candidate will have charm, confidence, a dedicated work ethic and the ability to grab a mic and entertain hundreds of people every week, previous acting experience is required.